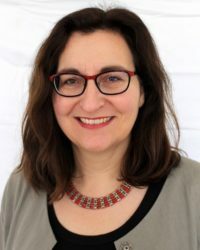 Nataša Mišković is SNSF Professor in Middle Eastern Studies, University of Basel. Her research focuses on the shared history of the Balkans and the Middle East. In the last decade, she has researched extensively on the visual history of Yugoslavia and Turkey, as well as on Yugoslav foreign policy and the non-aligned movement. She is currently preparing a monograph on the personal relationship between Tito, Nehru, and Nasser. She is the author of a history of Belgrade in the 19th century (Basare und Boulevards: Belgrad im 19. Jahrhundert, Vienna 2008) and co-editor of the online database Visual Archive Southeastern Europe as well as of the volume The Non-Aligned Movement and the Cold War: Delhi – Bandung – Belgrade (Routledge, 2014). Her recent research interests include the history of violence and memory politics in the Balkans and the Middle East as well as conspiracy theories.